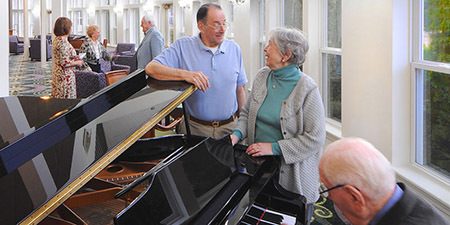 Prestwick Chase at Saratoga’s active adult community offers independent living opportunities through our affordable, maintenance-free senior housing. At Prestwick Chase, you can relax and enjoy life to its fullest, amid the comfort and security of a well manicured, active adult community. Enjoy the best of the Capital Region, New York. Enjoy each other’s company during our Friday Afternoon Social Hours, craft and exercise classes through the week and impromptu billiards or card games. Have a blast on our many trips to capital region concerts, plays, museums, restaurants and other outings on our Events Calendar each month. Enjoy the many amenities at Prestwick Chase. Take a stroll along our beautiful courtyards and ponds. Treat yourself to our relaxing health spa and unisex salon. Take a trip to our library with daily papers and free wi-fi. 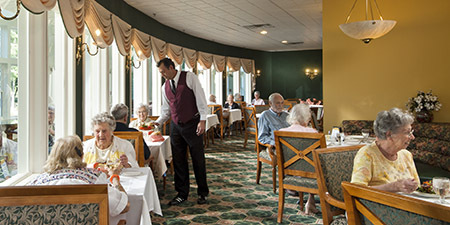 All this and more awaits you at the best Albany Retirement Community. 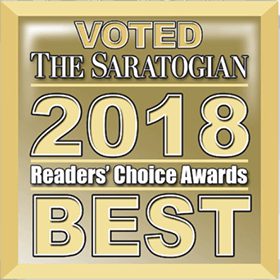 Prestwick Chase at Saratoga diners are treated to fantastic daily breakfast, lunch and dinner menus, featuring the best tasty delights in the Capital District. 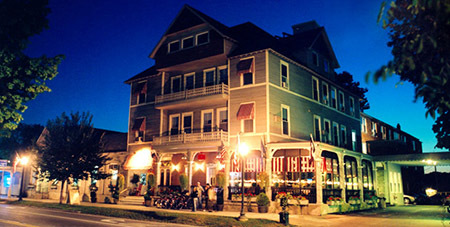 Our gracious, well-appropriated dining rooms and friendly staff will show you what resort living really means. Prestwick Chase is minutes away from the Saratoga Racecourse, Saratoga Racino, and the heart of Saratoga. Catch a concert at the Saratoga Performing Arts Center. Shop downtown at the numerous boutiques. Enjoy diverse dining options at some of the best restaurants in the Capital Region.